I became a vet to protect animals; to improve their health and take care of their wellbeing. My passion has always been in marine conservation and aquatic species, but I love domestic species no less. In July 2017 I set off on a solo circumnavigation of the Isle of Skye, Scotland, on stand up paddle board; the first woman to have attempted it. The Isle of Skye sits off the West coast of Scotland and is renowned for crazy tidal races, gale force winds and big oceanic swell. The island is remote, with few places between the towering cliffs to land a stand up paddleboard (SUP), and even fewer pockets of civilisation that were accessible on my voyage. So why such a treacherous location for a SUP expedition? This is a question I asked myself repeatedly when soaked to the bone, paddling against headwinds, or worse still trying to get back to shore against sudden gusts whose sole purpose, it seemed, was to blow me out to sea. I decided on the Isle of Skye and the extreme challenge to reflect the scale of the problem of plastic pollution, and to demonstrate that even remote, beautiful and wild places like this are just as vulnerable to plastic pollution. My absolute need to talk to people about the problem of plastic pollution drove me to find a way to get that conversation started. I had expected to see beaches covered in plastic, as they are almost worldwide now due to the 8 million pieces tonnes plastic that find their way into the ocean each year. I even half expected to come across sea-life affected by it. But I hadn’t expected the biggest heartbreak of the trip to be witnessing first hand the impact our plastic obsession is having on… cows. Cows are brilliant. They are unassuming, stoical and beautiful. I worked closely with them for the first few years of my career as a vet, and so have a love for them that runs deeper than just their beauty; for their strength, loyalty and resolve. Having been thrown over a fence by an angry beef cow with calf at foot, repeatedly kicked in my shins, sat on by a calving cow, charged at by a herd of new mothers and told where to go by these powerful creatures more times than I care to admit as a newly graduated vet, I also have a deep respect for their power, and the ease with which they could seriously injure a human if confronted or threatened. For this reason, standing back and watching this beautiful animal, unwittingly vulnerable, chewing on a discarded fishing rope broke my heart. The beach in question was piled high with plastic. But also visited by sheep and cows, lambs and calves, picking between the plastic for seaweed and edible goodies, and inevitably ingesting the plastic waste too. I was unable to get any closer to this cow than you can see in the following clip, an excerpt from Skye’s The Limit, the film documenting my expedition. I was completely alone, out of signal and miles from any roads or people on land. The cow and her bovine mates could have seriously injured, even killed me if she had felt threatened by me approaching any closer. This story has a happy ending. But for how long? How long before she finds more plastic to eat, or her calf does, or the next cow does, or the next sheep? How many innocent animals are we going to subject to this before, as a human race, we say “enough is enough”? I chatted to the farmers for hours. They understood; they had experienced this problem in their own cows. They had had to have several of their beautiful cows, their pride and joy who they cared for so thoroughly and dearly, operated on, their stomachs cut open, to remove plastic that they had eaten on the beach. There are so many brilliant organisations and individuals tackling this problem on so many different levels! I always like to suggest solutions rather than just bring to light the issues here, but I hope that this demonstrates the need for us all to care about this problem. We have a responsibility to ourselves, our own health, the animals in the ocean, but also our four legged friends closer to home. So what can we do to help? Care about this problem. Tell your friends, talk about it. Look at the single use plastic you’re using in daily life and think about where you can reduce it. 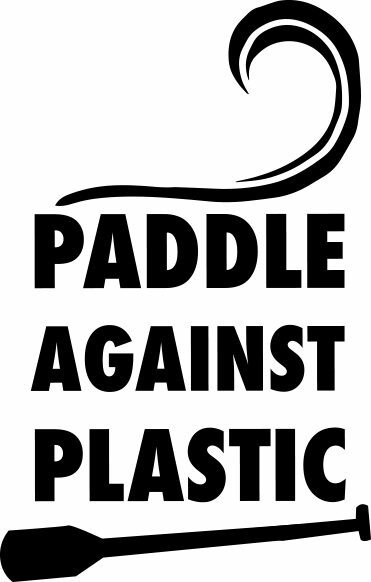 Join the conversation about plastic and support efforts to tackle it. Support your local Plastic Free Coastlines movement. Challenge your family to a plastic free Christmas!